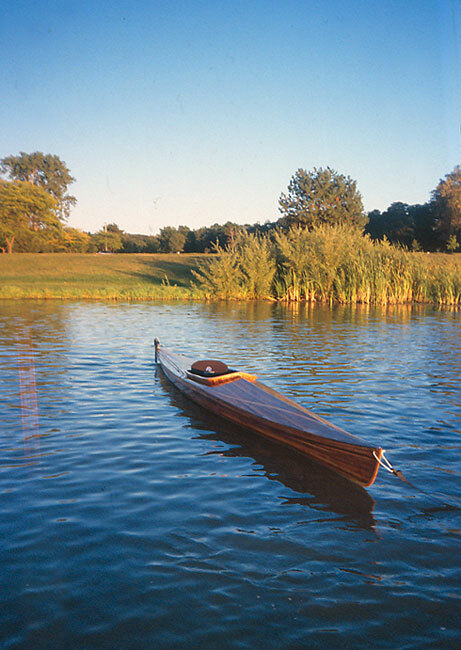 POINTED SHOES is a Great Auk kayak built by Dave Palmer in both Michigan and Maryland. Dave used Nick Schade's book The Strip-Built Sea Kayak by Nick Schade, and recommends it highly. He writes that early on in the process he strayed from Nick's instructions, using his own ideas instead, only to have to rip it out, and start again. Dave also writes that the boat is good-looking, light, easily transported, slender, long, fast, agile, stable, and admired by others; all qualities Dave says he lacks.